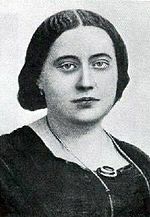 Parasychologist Nandor Fodor stated, "Whatever result psycho-analysts may arrive at in the study of her [Blavatsky's] complex character, it must be admitted that she was a remarkable woman and that she indeed possessed psychic powers which, however, fell far short of the miraculous feats she constantly aimed at." A number of authors, primarily Scholars, have suggested that Blavatsky sometimes spoke and/or wrote out of altered states of consciousness.G. 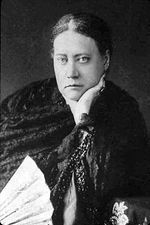 R. S. Mead wrote about Blavatsky, "I know no one who detested, more than she did, any attempt to hero-worship herself – she positively physically shuddered at any expression of reverence to herself – as a spiritual teacher; I have heard her cry out in genuine alarm at an attempt to kneel to her made by an enthusiastic admirer." 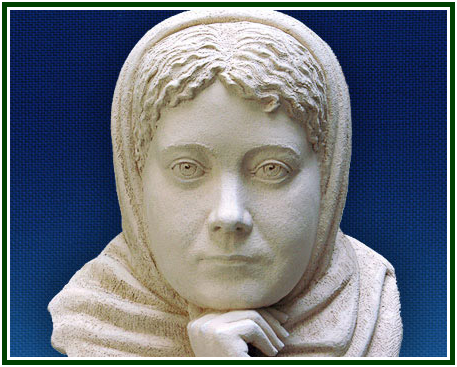 Leo Klejn wrote about Blavatsky, "Indefatigability and energy of this woman were surprising. She had a revolutionary's merits. 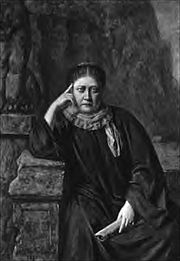 "[a] Another person who said Blavatsky was a remarkable woman was a former associate and publisher of the Theosophical magazine Lucifer 1887–1889, Mabel Collins. After leaving the movement she said "She taught me one great lesson. I learned from her how foolish, how 'gullible', how easily flattered human beings are, taken en masse. Her contempt for her kind was on the same gigantic scale as everything else about her, except her marvellously delicate taper fingers. In all else, she was a big woman. She had a greater power over the weak and credulous, a greater capacity for making black appear white, a larger waist, a more voracious appetite, a more confirmed passion for tobacco, a more ceaseless and insatiable hatred for those whom she thought to be her enemies, a greater disrespect for les convenances, a worse temper, a greater command of bad language, and a greater contempt for the intelligence of her fellow-beings than I had ever supposed possible to be contained in one person. These, I suppose, must be reckoned as her vices, though whether a creature so indifferent to all ordinary standards of right and wrong can be held to have virtues or vices, I know not." 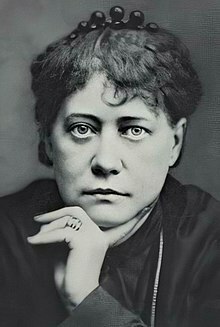 Blavatsky "both incorporated a number of the doctrines of eastern religions into her occultism, and interpreted eastern religions in the light of her occultism", in doing so extending a view of the "mystical East" that had already been popularized through Romanticist poetry.Max Müller scathingly criticized Blavatsky's Esoteric Buddhism. Whilst he was willing to give her credit for good motives, at least at the beginning of her career, in his view she ceased to be truthful both to herself and to others with her later "hysterical writings and performances". There is a nothing esoteric or secretive in Buddhism, he wrote, in fact the very opposite. "Whatever was esoteric was ipso facto not Buddha's teaching; whatever was Buddha's teaching was ipso facto not esoteric". [c] Blavatsky, it seemed to Müller, "was either deceived by others or carried away by her own imaginations." 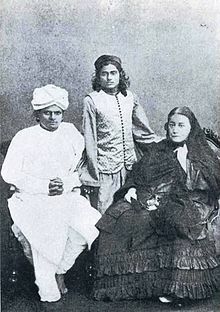 Blavatsky responded to those academic specialists in Indian religion who accused her of misrepresenting it by claiming that they only understood the exoteric nature of Hinduism and Buddhism and not the inner esoteric secrets of these faiths, which she traced back to the ancient Vedas. ^ From serialized installment in Wheeler, Joseph Mazzini (21 April 1895). "Madame Blavatsky". The Freethinker. 15 (16): 242–243. ISSN 0016-0687. Santucci, James A. (2006). 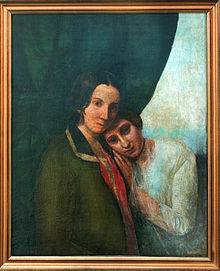 "Blavatsky, Helena Petrovna". In Wouter J. Hanegraaff (ed.). Dictionary of Gnosis and Western Esotericism. Brill. pp. 177–185. ISBN 978-9004152311. ——— (2006b). "Theosophical Society". In Wouter J. Hanegraaff (ed.). Dictionary of Gnosis and Western Esotericism. Brill. pp. 1114–1123. ISBN 978-9004152311. —— (1918) . "The theosophical glossary". In Mead, George R. S. (ed.). The theosophical glossary (Reprint of 1st ed.). Los Angeles: Theosophical Publishing Society. OCLC 679877592. —— (1925). Barker, A. Trevor (ed.). 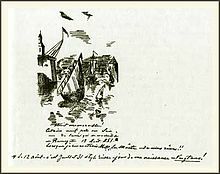 The letters of H.P. Blavatsky to A.P. Sinnett, and other miscellaneous letters. London: T. Fisher Unwin. —— (1937). Neff, Mary K. (ed.). Personal memoirs of H. P. Blavatsky. New York: Dutton. OCLC 311492. —— (2004). Goodrick-Clarke, Nicholas (ed.). Helena Blavatsky. Western esoteric masters series. Berkeley: North Atlantic Books. ISBN 978-1-55643-457-0. Coleman, William E. (1895) [essay composed 1893-08-02]. "Appendix C. The sources of Madame Blavatsky's writings". In Solovyov, Vsevolod S.; Leaf, Walter (eds.). A Modern Priestess of Isis. Abridged and translated on behalf of the Society for Psychical Research. London: Longmans, Green. pp. 353–366. OCLC 468865051. Harrison, Vernon (1997). 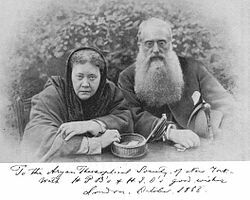 H. P. Blavatsky and the SPR: an examination of the Hodgson Report of 1885. Pasadena: Theosophical University Press. ISBN 978-1-55700-117-7. Revision of Harrison, Vernon (April 1986). "J'accuse. An Examination of the Hodgson Report of 1885". Journal of the Society for Psychical Research. 53 (803): 287–310. ISSN 0037-9751. Karma-gliṅ-pa (2000) . Evans-Wentz, Walter Y. (ed.). The Tibetan book of the dead: or, The after-death experiences on the Bardo plane, according to Lāma Kazi Dawa-Samdup's English rendering. with a new foreword and afterword by Donald S. Lopez, Jr (3rd ed.). London: Oxford University Press. ISBN 978-0-19-513311-0. Müller, Friedrich M. (May 1893). "Esoteric Buddhism". The Nineteenth Century: A Monthly Review. 33 (195): 767–788. ISSN 2043-5290. —— (August 1893). "Esoteric Buddhism: a rejoinder". The Nineteenth Century: A Monthly Review. 34 (198): 296–303. ISSN 2043-5290. —— (1902) [letter composed 1893-06-10]. "[letter] To Colonel Olcott". In Müller, Georgina A. (ed.). The life and letters of the Right Honourable Friedrich Max Müller. 2. London: Longmans, Green. pp. 297–299. hdl:2027/uc1.b3334965. OCLC 700634676. Newman, Hannah (2005). "Blavatsky, Helena P. (1831–1891)". In Levy, Richard S. (ed.). Antisemitism: A Historical Encyclopedia of Prejudice and Persecution. 1. Santa Barbara: ABC-CLIO. pp. 72–73. ISBN 978-1-85109-439-4. Nilakant (May 1886). Judge, William Q. (ed.). 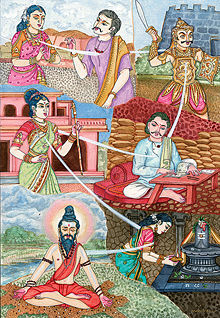 "Theosophical symbolism". The Path. 1 (2): 51. LCCN 2003221012. Transcribed in "Theosophical symbolism". Pasadena: theosociety.org. Archived from the original on 9 February 2008. Retrieved 17 December 2011. Petsche, Johanna (June 2011). "Gurdjieff and Blavatsky: Western esoteric teachers in parallel". Literature & Aesthetics. 21 (1): 98–115. ISSN 2200-0437. Archived from the original on 14 May 2014. Retrieved 14 May 2014. —— (June 1893). "Esoteric Buddhism: a reply". The Nineteenth Century: A Monthly Review. 33 (196): 1015–1027. ISSN 2043-5290. Wakoff, Michael B. (1998). "Theosophy". In Edward Craig (ed.). Routledge Encyclopedia of Philosophy. 9. New York: Routledge. pp. 363–366. ISBN 978-0-415-18714-5. —— (1999) . Данилов, Леонид Лукьянович (ed.). Е.П. Блаватская: Жизнь и творчество основательницы современного теософского движения (in Russian) (2nd ed.). Рига: Лигатма. ISBN 978-5-7738-0017-0. Translation of Cranston, Sylvia L. HPB: the extraordinary life and influence of Helena Blavatsky, founder of the modern Theosophical movement. Толстой, Лев Н. (1935). Чертков, Влади́мир Г. (ed.). Полное собрание сочинений (in Russian). 54. Moscow: Гос. изд-во худож. лит-ры. LCCN 51015050. OCLC 6321531. —— (1955). Чертков, Влади́мир Г. (ed.). Полное собрание сочинений (in Russian). 80. Moscow: Гос. изд-во худож. лит-ры. LCCN 51015050. OCLC 6321531.